Dr. Porter graduated from University of Florida with High Honors in Biology in 1976. He worked at the National Institute of Health in the Heart, Lung and Blood Institute in Bethesda Maryland 1976 -1978. 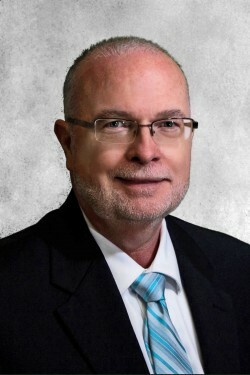 In 1982, Dr. Porter was selected for a Navy military scholarship to attend the University of Miami School of Medicine where he earned his medical degree. Dr. Porter completed his internship and Neurology Residency at Bethesda Naval Hospital, and trained as a naval Flight Surgeon in Pensacola, FL. After serving as Squadron Flight surgeon in Corpus Christi, TX, he was stationed as Head of Neurology at Pensacola Naval Hospital for seven years. Dr. Porter then went on to become the Head of Internal Medicine and Neurology at the Naval Aerospace Medical Institute (NAMI) in Pensacola. Dr. Porter also served as a Special Medical Consultant (Neurology) to the Federal Air Surgeon of the FAA. After 23 years of military service, Dr. Porter retired but was asked to perform the same duties for an additional five years as a contractor. At the National Institute of Health in the Heart, Lung and Blood Institute, Dr. Porter conducted research on snake venom that later resulted in the creation of angiotensin converting enzyme inhibitors, a class of blood pressure medications. At NAMI, Dr. Porter ran a motion sickness desensitization program. There he engaged in care and research with former POWs. His work resulted in returning many aviators back to flight status after grounding for various neurologic conditions. As the first of three sons of a USAF pilot, Dr. Porter has had a life-long connection to the military. Through frequent moves with his family, as a young man he lived on bases in Georgia, Texas, South Carolina and Loan, France. These frequent moves resulted in submitting 23 different addresses to the Navy to earn Secret Clearance. Dr. Porter and his wife, Carmela, have a beautiful daughter, Alexandra. Dr. Porter joined Emerald Coast Neurology in 2012 after serving in the military for 28 years. He enjoys living in the Gulf Coast region and all that it has to offer.